The Titanium Ash Bracelet (large) is a striking new design and has amazing wear abilities for both men and women. As lightweight as they are lustrous, these beautiful pieces are crafted from highly durable titanium. Titanium is stronger than steel yet very surprisingly lightweight. 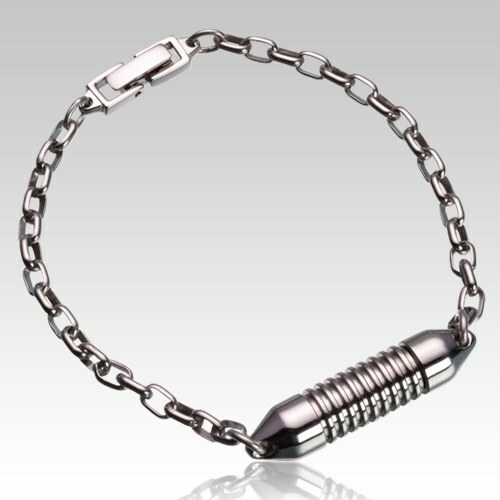 Titanium is nonmagnetic and hypoallergenic, which makes the material ideal for everyday wear.